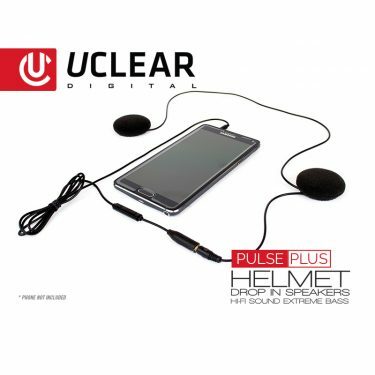 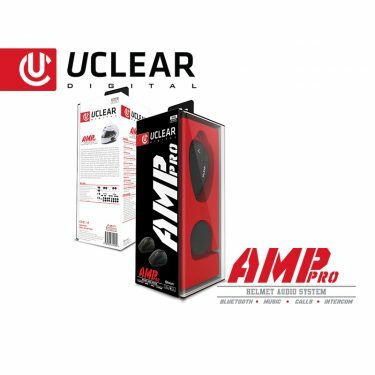 Get the ultimate upgrade to your audio experience with the Pulse Pro drop-in speakers from UCLEAR Digital. 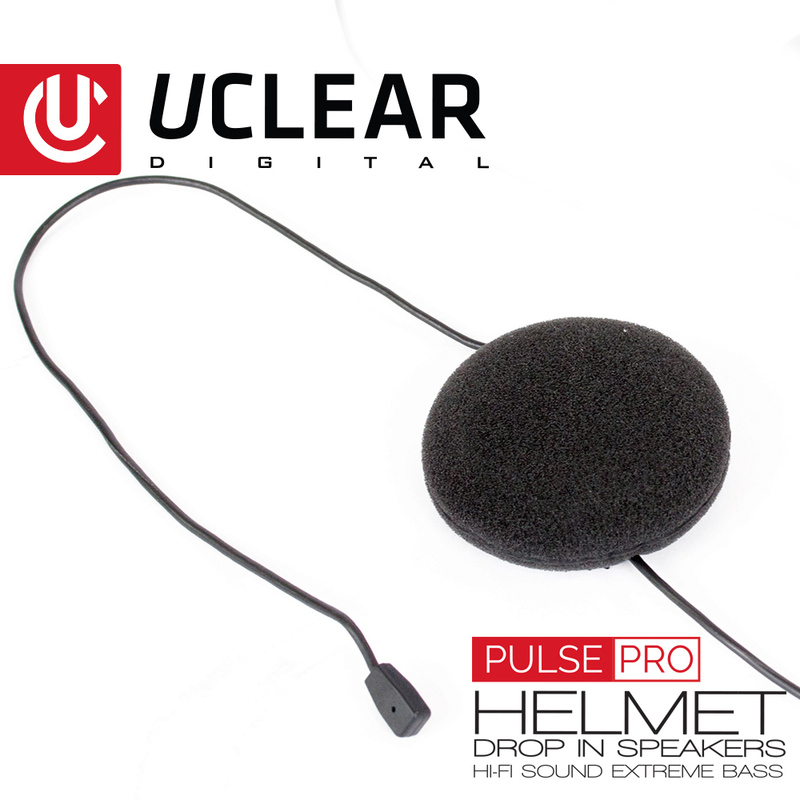 Featuring hi-fi audio and concealed microphones, the Pulse Pros take your in-helmet experience to the next level. Our audio engineers worked feverishly on the Pulse Pro to bring you high-fidelity sound in a convenient package. 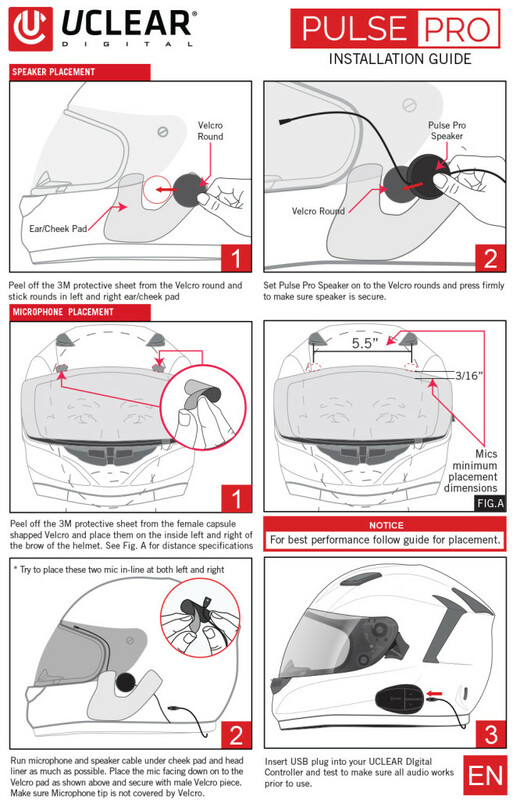 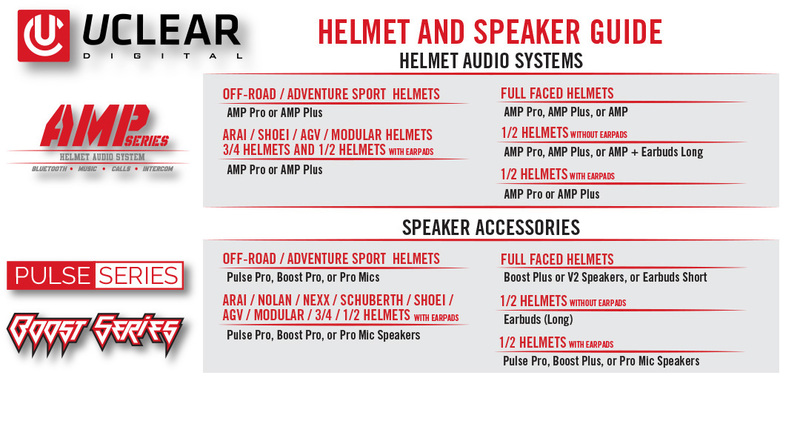 Pulse’s sound drivers are designed for maximum performance and deliver the best sound in helmet audio. 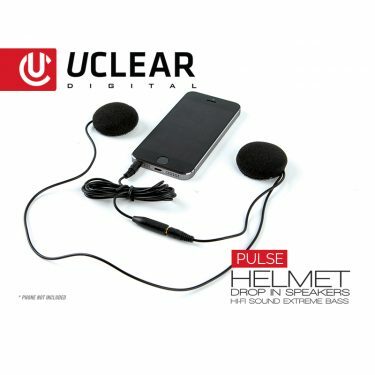 The speaker and microphone combo also delivers crystal clear voice audio and exceptional music playback. 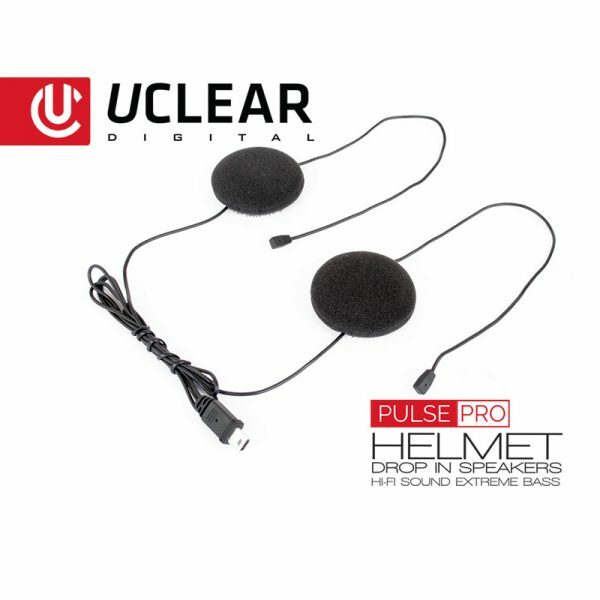 The Pulse Pro microphones were designed for half, 3/4, modular and full face helmets that have acoustic challenges and require a higher quality of audio performance. 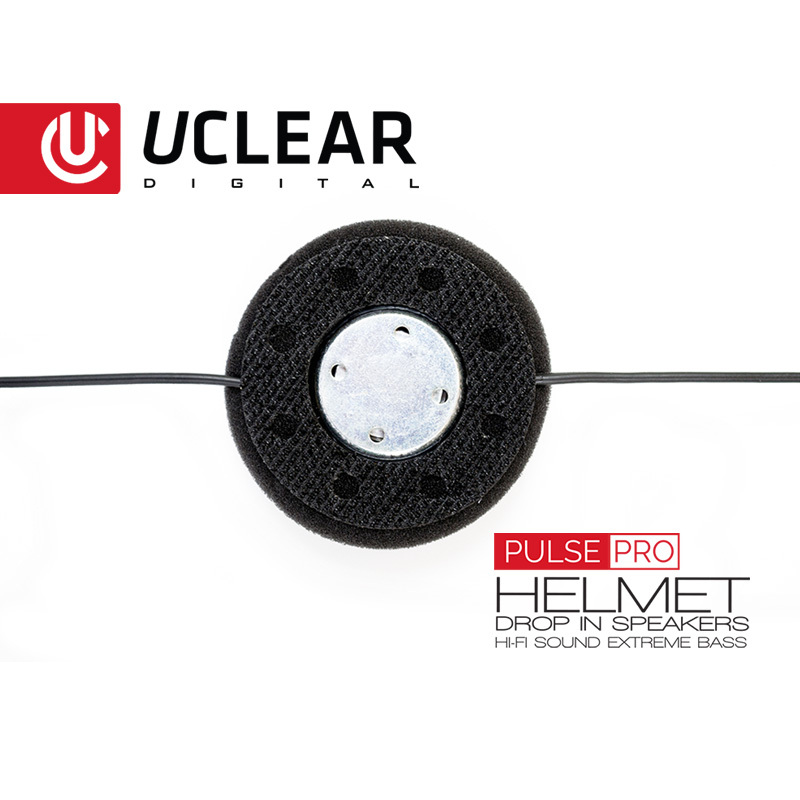 Pulse Pros have an extended microphone lead that can be custom routed through the helmet for optimal placement and maximum performance. 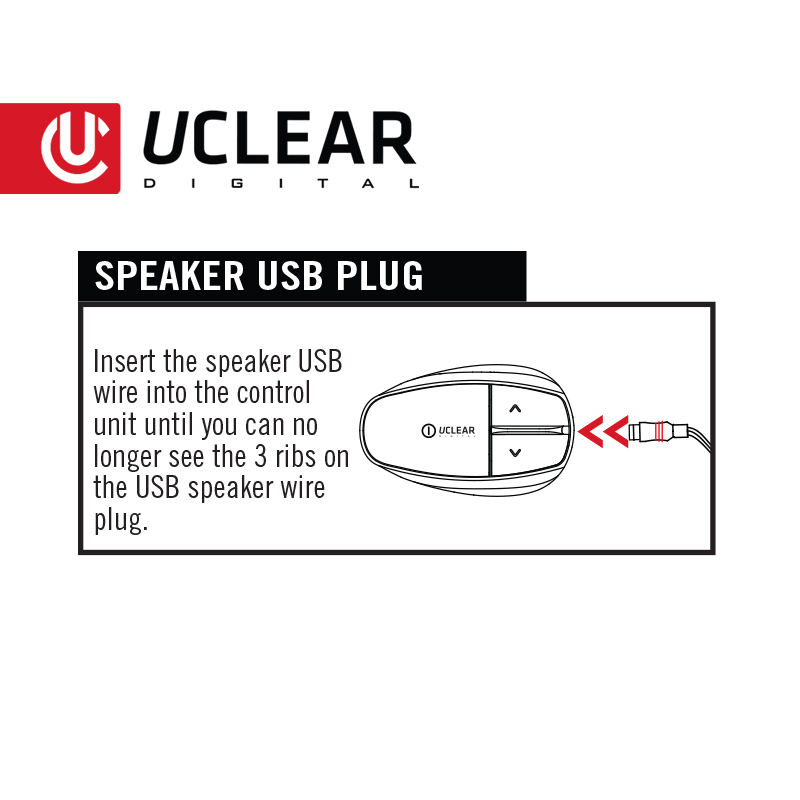 They plug directly into any UCLEAR communication unit making upgrading your system a breeze.